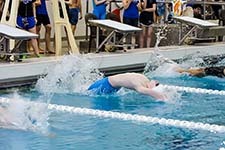 FRIENDSWOOD — The Friendswood swim team, coach by John Little, have always been one of the state's strongest schools. Competing in 4A, Friendswood always made state swim reservations early. One of the biggest questions entering this year was how would the Mustangs compete in District 24-6A? How would they do against the largest classification in the state? This past weekend, coach Little and his swimmers answered the first stage of those questions. 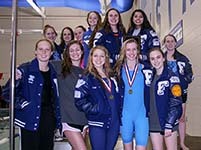 The Friendswood girls scored 138 points for the district crown while Clear Falls was a distant second with 88 points. Clear Lake finished third with 84 points followed by Clear Creek (79.5), Brazoswood (57), Clear Springs (49.5), Clear Brook (32), and Dickinson (19). The Friendswood boys also had a good outing by finishing in second place with 113 points with Clear Falls with the league crown with 148 points. Clear Lake was third with 109 points followed by Brazoswood (47), Clear Creek (37), Clear Springs (32), and Dickinson (19). Friendswood head coach John Little was named as the girls District "Coach of the Year" and Friendswood diver Michael Claunch was named "Boy Diver" of the district meet. The Friendswood girls quartet of Cassandra Nagle, Sydney Gurry, Gina Fossati, and Katie Kosinski set a new pool and district record in the 200 medley relay with a time of 1:49:33. The Friendswood boys quartet of James Tomerlin, Daniel Theall, Matt Garry, and Mark Theall also set a new district record in the same event with a time of 1:40:18. Friendswood sophomore Sydney Gurry set a new district mark in the 200-yard free with a time of 1:57:37. Gurry also set a new pool record in the 100 breaststroke with a time 1:08:35. 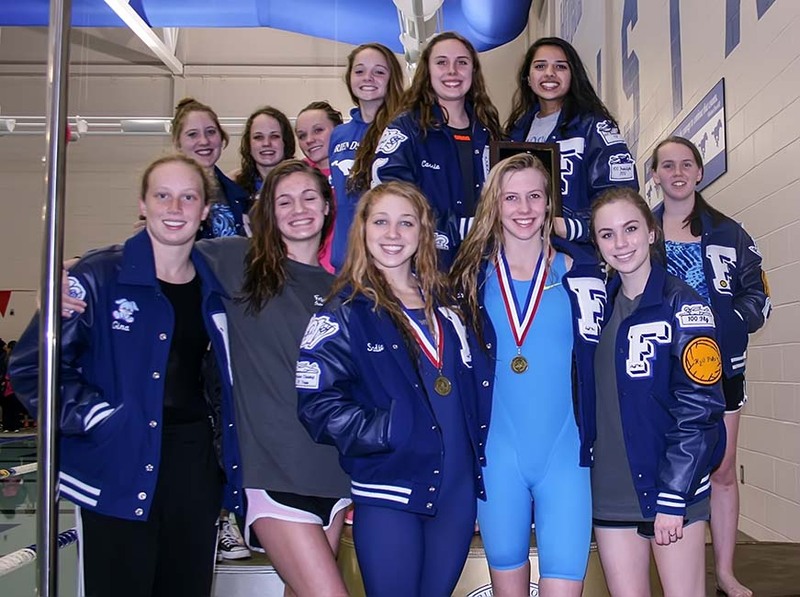 DISTRICT 24-6A SWIM CHAMPIONS - The Friendswood girls swim team won the District 24-6A title in their first year after being moved up from 4A to 6A. The Lady Mustangs scored 138 points for first place while Clear Falls finished second with 88 points. Next stop will for the regional swim competition and then the state swim meet in Austin. Friendswood junior Daniel Theall set a new record in the 200-yard IM with a time of 1:59:04. The Friendswood girls foursome of Gurry, Fossati, Sadie Wilson, and Kosinski set a new district and pool record in the 400-yard free relay. Gina Fossati (200-yard IM); Katie Kosinski (50-yard free); Michael Claunch (1-meter diving); Kosinski (100-yard free); Cassandra Nagle (100-yard back); and James Tomerlin (100-yard back). The Mustangs will now prepare for the regional swim meet and then the state swim meet at the University of Texas in Austin on February 20-21, 2015.